This is a un-issued WWI Light Horse collar/picket chain. These chains were used to tie the horses to a picket at night. The item is in mint condition. Considering that it is a genuine WWI issue, it is a real find and will fit nicely into any militaria collection. 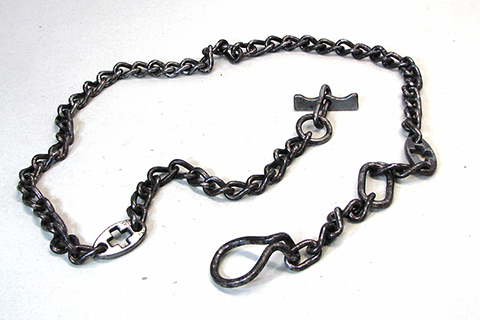 Please Note:The photo is of a collar chain as described, but the actual item may vary in colour and finish to the one in the photo.